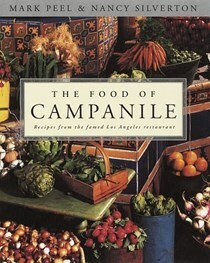 Campanile Executive Chef and Owner Mark Peel has been an important and dynamic part of the Californian culinary landscape for more than thirty years. Just out of college, he landed a job peeling vegetables for Wolfgang Puck at Ma Maison. He eventually worked his way up to poissonier before moving to France for stints at La Tour d'Argent and Le Moulin de Mougins. In 1979, he returned to Los Angeles and began working at Michael's restaurant. 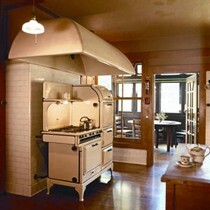 From there he moved north to Alice Waters' Chez Panisse and, finally, back to Los Angeles to open the original Spago as Wolfgang Puck's chef de cuisine. 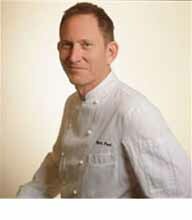 In 1989, he opened both La Brea Bakery and Campanile business partners Nancy Silverton and Manfred Krankl. 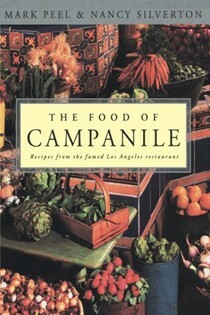 He has co-authored several books, including Mark Peel & Nancy Silverton At Home: Two Chefs Cook for Family and Friends and The Food of Campanile, both with former wife and ex-partner Nancy Silverton. 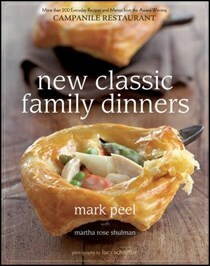 New Family Classic Dinners is his newest cookbook. The Tar Pit, a classic bar and restaurant featuring hand-crafted cocktails, opened in Hollywood in late 2009. Mark has five children and is married to television host and comedienne Daphne Brogdon.